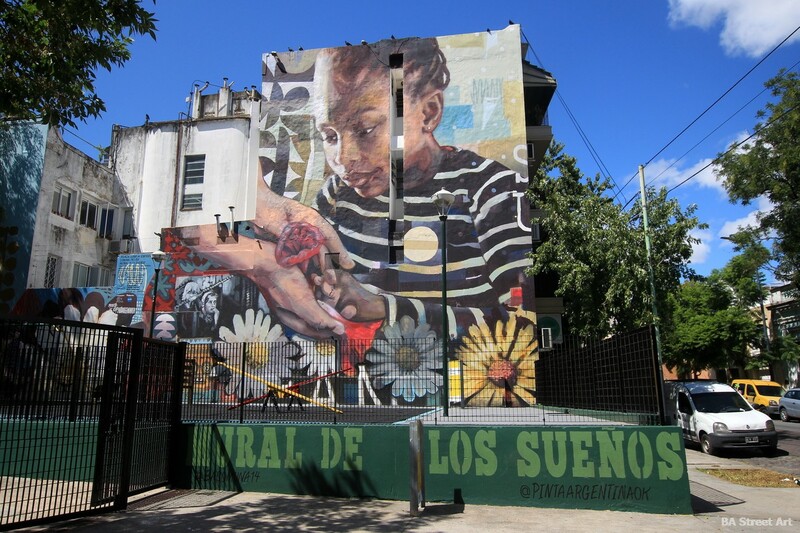 The mural by the Argentine street artist is related to immigration in Argentina and is entitled “Mural de los sueños” or ‘Mural of Dreams’. 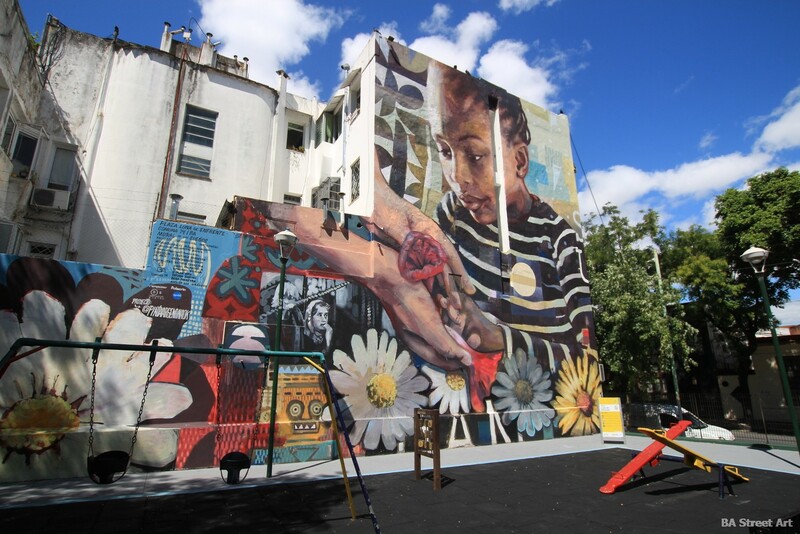 The artwork has given a new look to Plaza Luna de Enfrente in Palermo Soho. 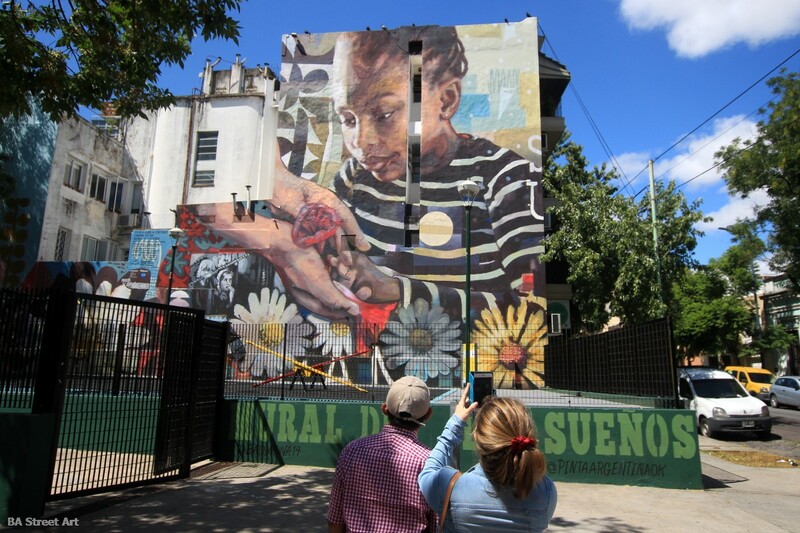 The project was organised by PintaArgentinaOk and supported by the local council Comuna 14 . 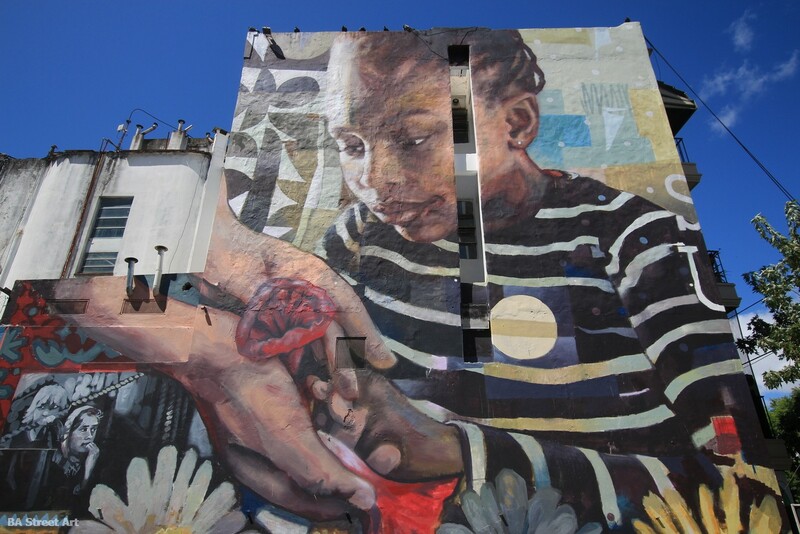 You can check out the mural at Soler and Gurruchaga. 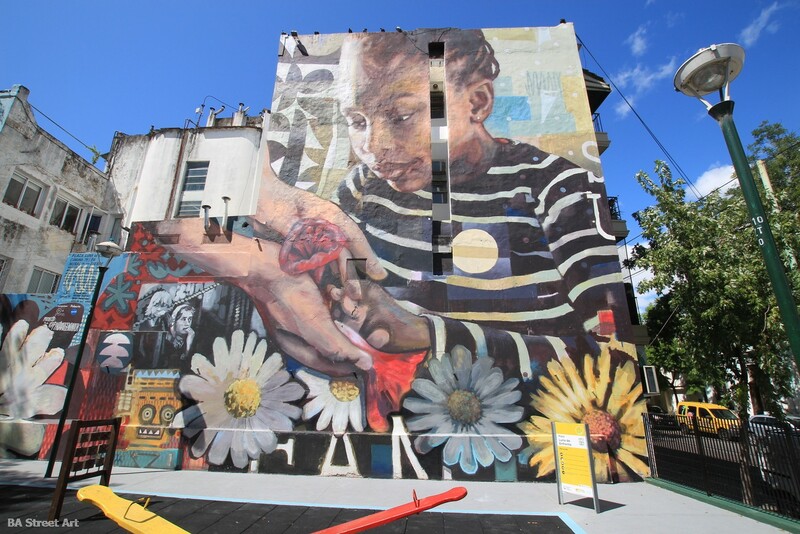 This entry was posted by admin in News and tagged Guido Palmadessa, Guido Palmadessa mural, mural Palermo, Palermo street art, Plaza Luna de Enfrente.